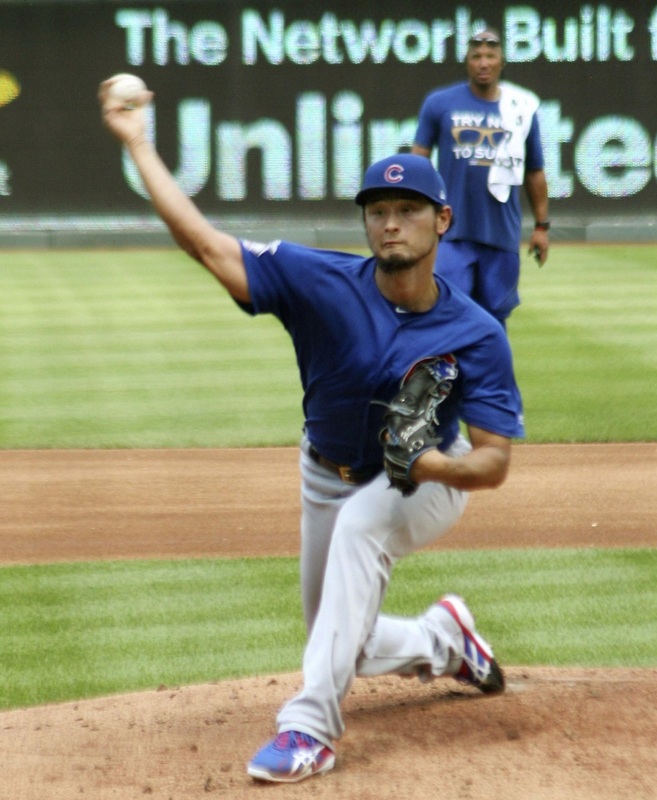 KANSAS CITY, MISSOURI - Chicago Cubs hurler Yu Darvish pitched two innings in a simulated game Wednesday as he continued to rehabilitate injuries to his throwing arm that have kept him sidelined for more than two months. After warming up in the bullpen, the right-hander took the mound and threw a variety of pitches, a slider and curveball. He showed good control and did not allow a base hit. Cubs manager Joe Maddon said he was pleased with Darvish’s progress. 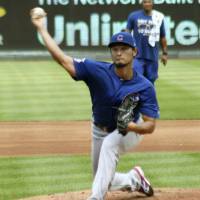 The 31-year-old Darvish was placed on the disabled list on May 26 with right triceps tendinitis. He had not faced batters since a minor league game on June 25, after which he was diagnosed with right elbow inflammation. He played catch on July 9 and resumed pitching practice two weeks later. In eight games this season, he is 1-3 with a 4.95 ERA.